Florida Atlantic University has found itself embroiled in a national outcry over the views of James Tracy, an associate professor of media history. Tracy, 47, went to his blog, Memoryholeblog and held forth on his suspicion that the massacre in Connecticut might have been a government drill or may not even have actually occurred. 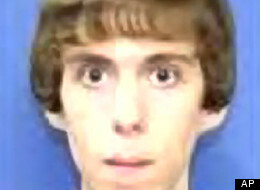 In a blog entitled “The Sandy Hook Massacre: Unanswered Questions and Missing Information,” Tracy wrote “While it sounds like an outrageous claim, one is left to inquire whether the Sandy Hook shooting ever took place — at least in the way law enforcement authorities and the nation’s news media have described.” For those mourning the loss of the 20 children and six adults, it was both an outrageous and hurtful claim — leading many to call for the firing of Tracy. However, as correctly noted by the FAU administration, this was a personal blog and Tracy has every right to espouse such theories. Tracy appears a full-time conspiracy theorist who has questioned the official account of the Kennedy assassination, the 9/11 terror attacks and the Aurora, Colo., movie theater massacre. Tracey received his Ph.D for the University of Iowa and has a specialization in Media history and analysis, political economy of communication. 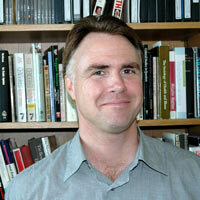 He teaches courses on alternative news media and socio-political issues and events. Tracy, J. F. “A Historical Case Study of Alternative News Media and Labor Activism: The Dubuque Leader 1935-1939,” Journalism & Communication Monographs 8.4 (2007): 269-343. Tracy, J. F. “Censored News Cluster Overview Essay Analysis: Human Costs of War and Violence”, Censored 2013: Sourcebook for the Media Revolution. The Top Censored Stories and Media Analysis of 2011-2012, Mickey Huff and Project Censored, editors. New York: Seven Stories Press (forthcoming October 2012). Tracy, J.F. “Our Union is Not For Sale: The Postwar Struggle for Workplace Control in the American Newspaper Industry,” in A Moment of Danger: Critical Studies in the History of U.S. Communication Since World War II, Inger Stole and Janice Peck, editors. Milwaukee WI: Marquette University Press, 2011, 57-81. Tracy, J. F. “Covering Workers: News Media, Labor, and the 2008 Economic Crisis,” in The Propaganda Society: Promotional Culture and Politics in Global Context, Gerald Sussman, editor. New York: Peter Lang, 2011, 267-282. Tracy J. F. “Covering ‘Financial Terrorism’: The Greek Debt Crisis in U.S. News Media,” Journalism Practice (Summer 2012, forthcoming). Tracy, J. F. and M. L. Hayashi. “Librarians of the World Unite? Possibilities and Realities from Florida, USA,” Special Issue Getting the Message: Communication Workers and Global Value Chains, edited by Vincent Mosco and Catherine McKercher, Work, Organisation, Labour and Globalisation 4.2 (2010): 96-110. Academic freedom does protect faculty in advancing such theories and this falls within Tracy’s academic work. However, it is really not an academic freedom issue as much as a first amendment issue. He has a right to maintain a private blog and to speak his mind on public controversies, even to the dismay and displeasure of the public. Again, the answer is to debunk the theories, by answering any and all questions, thoroughly and completely. No matter how crazy the questions might seem. Perhaps it will backfire on the NRA. Some of the craziness in this country is being fueled by a government program that has yet to come to light. It will. Eventually. But in the meantime… the best antidote, IMO, is a government which fosters transparency and openness. http://www.slate.com/articles/news_and_politics/politics/2013/01/sandy_hook_truthers_the_nra_has_actively_encouraged_the_paranoid_fears_of.html The NRA is feeding the truthers.